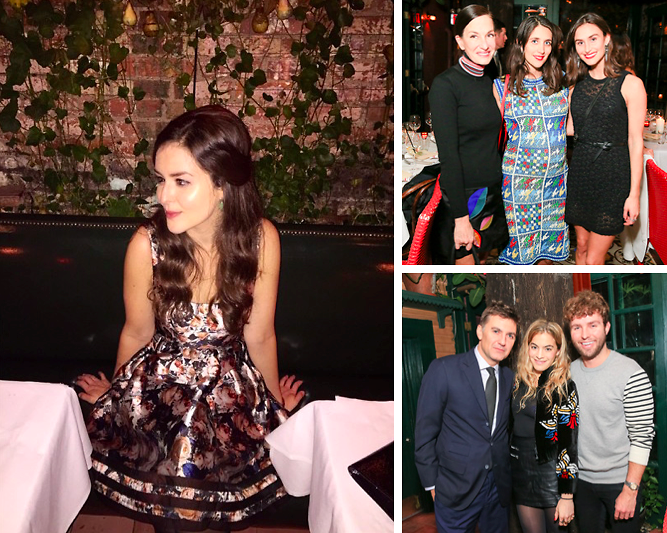 Last night, New York City's most fashionable influencers gathered at the Waverly Inn for a fashion dinner hosted by BDA and William Blair. Guests, including Euan Rellie, Beth Pickens, Cynthia Rowley, Chelsea Leyland, Devin VanderMaas, Jodie Snyder Morel and Danielle Snyder, enjoyed a beautiful candlelit dinner and cocktails while snapping photos and enjoying each other's company. Check out our slideshow for more from this event! Who was there: Guests included Euan Rellie, Beth Pickens, Angela Pham, Misha Nonoo, Alexander Gilkes, Devin VanderMaas, Cynthia Rowley, Timo Weiland, Chelsea Leyland, Grace Chang, Bibhu Mohapatra, Maggie Winter, Tyler Thoreson, Danielle Snyder, Jodie Snyder Morel, Sean Mahoney, Lucy Sykes Rellie, Dee Poku, Erik Maza, Meredith Melling and Valerie Boster.